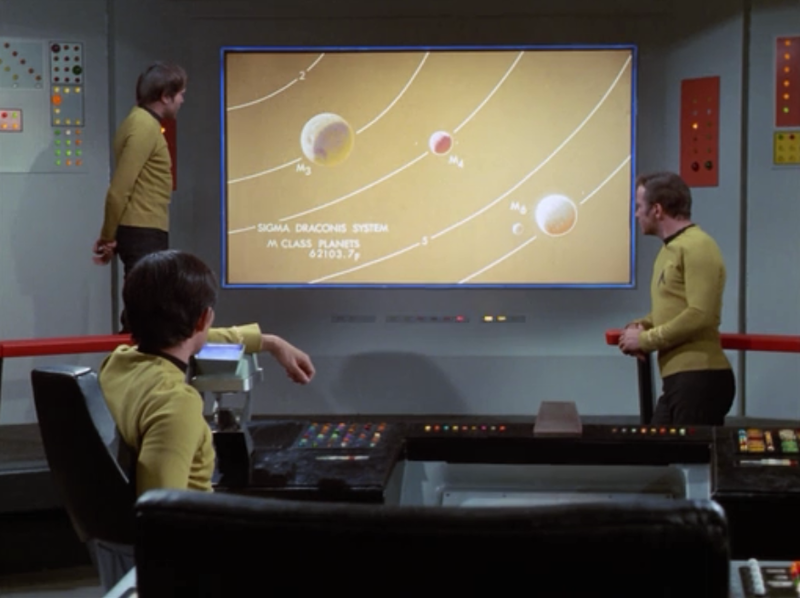 Obviously the original Star Trek presented a number of amazing technologies (even if it wasn't necessarily the genesis of all of them). Today we have amazingly huge high-resolution screens becoming more common all the time. But in the sixties, color television was relatively new and rare and reproduced color poorly, and TVs were small, bulky, curved and low resolution. Did the audience of the time view the viewscreen on the Enterprise bridge as novel and amazing, or merely as a logical extension of contemporary technology? were a staple of science fiction. And even though the one on the Enterprise bridge reminds us today of an enormous flatscreen television, its true resolution was unknown. After all, the only thing you see on a standard TV is standard definition, and that includes the main screen of the bridge. The only thing distinctly different was its aspect ratio, and that was based on movie theater screens. Incidentally, those tube TVs reproduced color just fine. It was the way the picture tubes simulated standard definition with interlacing to get a resolution of 480i that looked terrible. Not the answer you're looking for? Browse other questions tagged star-trek history-of star-trek-tos technology special-effects or ask your own question. Does the TOS episode “Tomorrow is Yesterday” feature a primitive replicator? What is this Star Trek TOS device with the ribbon of small colored squares on top? How old was Pavel Chekov in TOS?